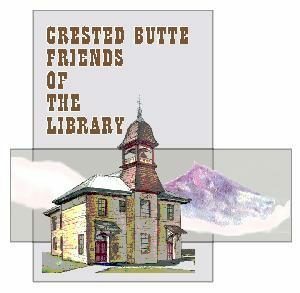 The Crested Butte Friends of the Library is a non-profit organization, set up in 1998, to promote awareness of the library facilities and services to Crested Butte, and to raise funds in order to purchase additional books, computers and Internet services for the libraries of the town. We encourage people to join as members of the Friends, starting at individual memberships at $15. All contributions are tax-deductible and donations can be sent to PO Box 791, Crested Butte. Membership cards are available at the Old Rock Library. Visa and Mastercard are accepted. The Crested Butte Branch Library of Gunnison County Public Library is located in the renovated Old Rock Schoolhouse. The Old Rock School building had been standing vacant, and unused for a number of years when, in 1989, a group of concerned citizens and businesses formed the Committee to Restore the Rock School. As a result of their efforts $350,000 in private and public funds were raised to renovate the Old Rock for use as a library. On September 21, 1993, Governor Roy Romer dedicated the Old Rock Community Library, 110 years after the Old Rock was built.